After joining NTIA, Strickling oversaw the development of an approximately $4 billion Recovery Act broadband grants program and now manages the rigorous oversight of these nationwide broadband projects to ensure they deliver timely and lasting benefits to the American public. Additionally, under Strickling’s leadership, NTIA launched America’s first public, searchable nationwide map of consumer broadband Internet availability and crafted a ten-year plan that the agency is now implementing to nearly double the amount of commercial spectrum available for wireless broadband, as directed by President Obama. 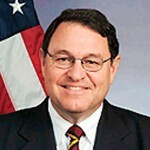 Strickling also oversees NTIA’s efforts on a host of domestic and global Internet policy and administrative issues, including playing a key role in the Commerce Department’s Internet Policy Task Force; advocating the U.S. Government’s policy positions abroad; and promoting the stability and security of the Internet’s domain name system through its participation on behalf of the U.S. government in Internet Corporation for Assigned Names and Numbers (ICANN) activities.